We are very excited to bring Stanley’s experience in witness communication training to our clients. He’s coached 'A' list celebrities, 'C' suite executives and a garden variety of experts. Magna Legal Services, the largest company in the nation providing a full suite of in-house services in Jury Research, Litigation Graphics, Language Services, Trial Presentation, Record Retrieval Services, E-Discovery and Court Reporting, announced today that Stanley D. Curbo, J.D., has joined the firm as a Senior Litigation Consultant for its Southwest and West coast operations. Stanley will be based out of Magna’s Dallas,Texas office. 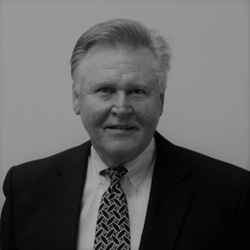 Stanley brings to Magna 30 years of experience as a litigation/jury consultant. He has consulted on a wide-ranging variety of litigation including: Bad Faith Insurance Claims; Complex Commercial Litigation; Criminal Law; Employment Law; Intellectual Property; Malpractice; Oil & Gas; Personal Injury; Premises Defects; Product Liability, Toxic Tort; Trucking Accidents; Wrongful Death. Mr. Curbo has conducted research and been involved in trials in State & Federal Courts in venues across the United States. "We are very excited to bring Stanley’s experience in witness communication training to our clients. He’s coached 'A' list celebrities, 'C' suite executives and a garden variety of experts. He has an uncanny ability of removing damaging sound bites from the witnesses mouth before they get to the courtroom or deposition," said Peter Hecht, Partner and Executive Vice President of Sales at Magna Legal Services. Stanley holds a Bachelor of Arts degree in History and English from the University of Maryland and a Juris Doctor, Law from Saint Mary's University School of Law. He is fluent in Spanish and a Viet Nam veteran (U.S.M.C.). As an end-to-end service provider, Magna provides strategic advantages to clients by offering legal support services at every stage of legal proceedings. Magna’s mission is to ensure that all legal support needs are delivered in a high quality, reliable and responsive manner. Magna Legal Services is the country’s only company providing a full suite of jury research, litigation graphics and court reporting with end-to-end legal support services to law firms, corporations and governmental agencies from its 19 offices in 13 states throughout the nation. For more information on Magna’s services, visit http://www.magnals.com or visit https://magnals.com/jury-consulting-2/ to see a list of our consulting services.